14pt or 16pt High Gloss Thick Business Cards. 16pt 140lb Thick Silk Smooth Laminate. Raised Business Cards. Raised Ink Thermography. Spot UV can be applied to Silk or Matte 16pt Stock. Choose: Solid, Frosted, Clear Stock 20mil or 30mil. We offer a Uncoated 100lb Linen Finish. We offer a 14pt or 16pt Matte or Gloss Stock. Matte Business Cards apply a Dull Coating. Choose from 70lb Linen or 70lb White Smooth. Custom Die Cut Business Cards 14pt or 16pt. Inline Foil and Foil Stamping on Silk or Matte. Choose from Raised Ink or Flat Ink 70lb or 24lb. These come in Glossy or Matte 100lb Paper. Gloss or Matte 100lb, 14pt, 16pt Stock Available. 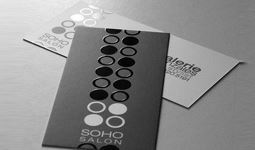 Raised Letter Business Cards & High Gloss Business Cards Stand out from the crowd and leave a lasting impression with our Business Card Design. Premium quality at a great value. Use your own Business Card Design or choose from thousands of free templates. With also offer a free Paper Weight Chart and lots of other printing options to choose from. 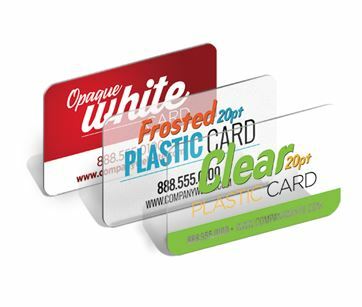 AcceptPrint business card design is the place for business cards and all your custom printing needs!